When I was just discovering my passion for growing things, one of our neighbors, an experienced gardener, gave me the best soil tutorial. On one of her walks, she noticed as I struggled to deal with weeds in my drought stricken yard. She stopped to chat and casually mentioned that I really needed to work on the tilth of my soil. When I asked what that meant, she kindly invited me to check out her garden – it would be better to see and feel what she meant. When she poured some of her soil in my hand it was clear that what I saw, felt, and smelled was very different from the dirt that I was dealing with. I had an immediate and visceral reaction to the wonderful musky richness. The soil was soft and darkly colored and it felt good – plump, moist, lively – not thin, grainy and dry like the stuff I was dealing with. She told me that this was my goal in the garden - create soil that was dark brownish-black and smelled good, clean and earthy and held together but did not clump or fall through my fingers when moist. How to accomplish this? Her message was simple –back off the chemical fertilizers, feed the soil by adding organic matter and she promised that over time my soil would become like hers and I would have no weeds. Really? No weeds??? I was a skeptic at first but over time I have learned that if I cultivate healthy soil and I make sure to water and fertilize properly* – weeds are unlikely to grow in such a healthy soil environment. The break down of organic matter. Microbial life that develops good soil structure. Transforms minerals so they can be better used by plants. It’s not that I never have any weeds, but the weeds I do have are easy to manage. 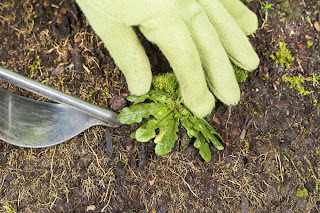 Another great lesson learned from a fellow gardener – pull weeds in the first 15 minutes you are in the garden and that bend and snap helps warm-up your muscles and joints in preparation for the tough gardening ahead. Smart advice to help avoid an aching back! *Watering and fertilizing properly are dependent upon many factors – soil, temperature, humidity, wind, and the type and health of the plants you grow. 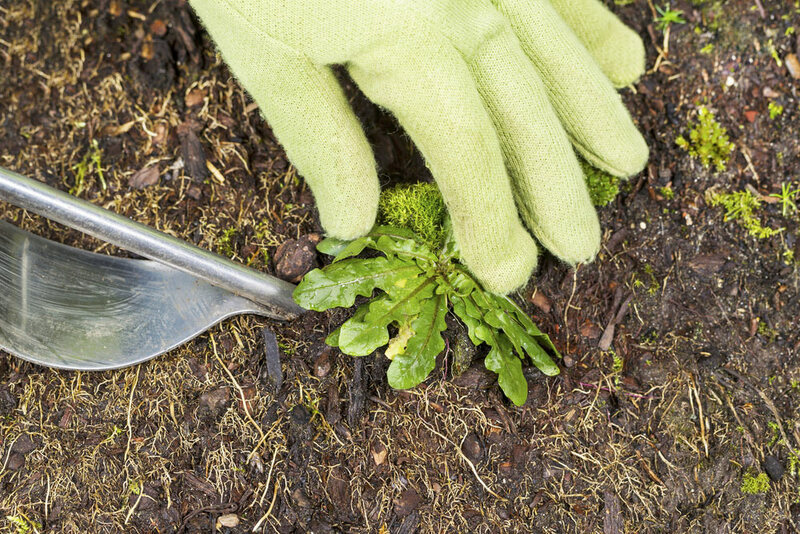 It is important to know how all of these factors influence your garden’s needs. Responding appropriately is a lot easier with knowledge. Just remember “The Three Bears” – not too much, not too little, just the right amount of water and fertilizer are very good things!